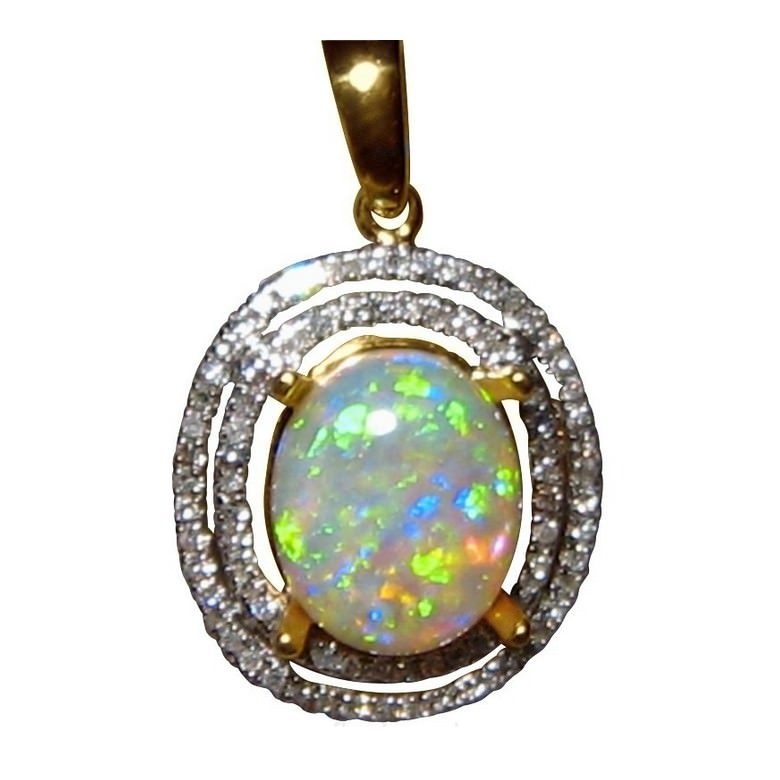 A Lime Green Opal and Diamond Pendant in 14k Gold for women with an oval Crystal Opal surrounded by a double halo of Diamonds. In stock and ready to ship. 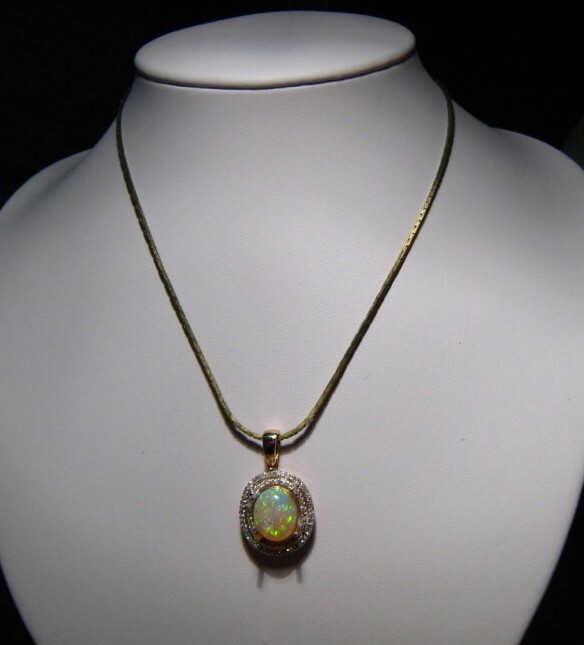 A Crystal Opal and diamond pendant for women with mainly Lime Green color and shown in a 14k Yellow Gold setting, The oval Coober Pedy Crystal Opal weighs 2.57 carats and is surrounded by two rows of small but sparkling Diamonds in a double halo adding some bling and size to the pendant. 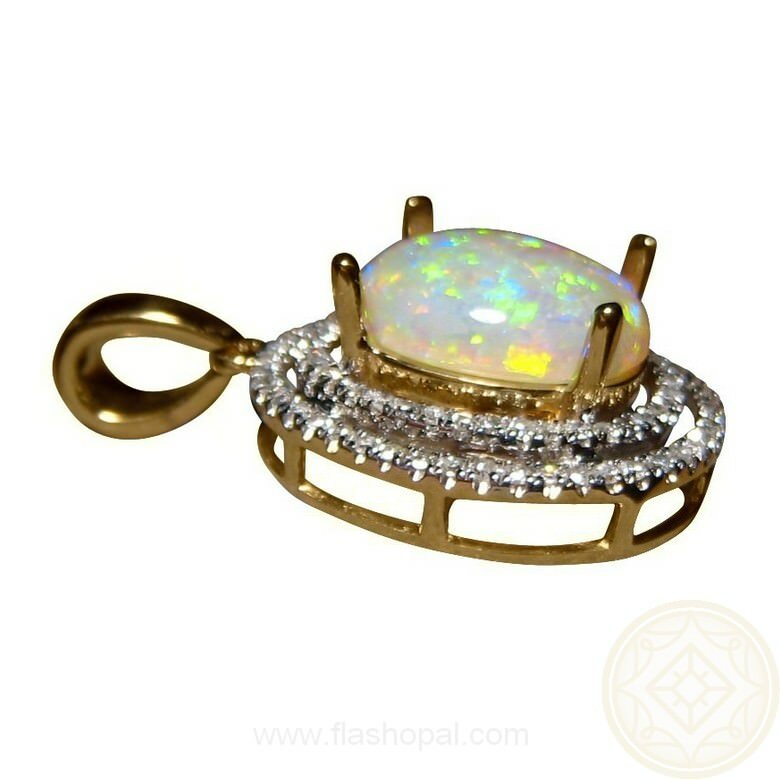 It is ready to ship as advertised or will take 14-21 days for White or Rose Gold with the prongs being set once the Gold Color is advised. 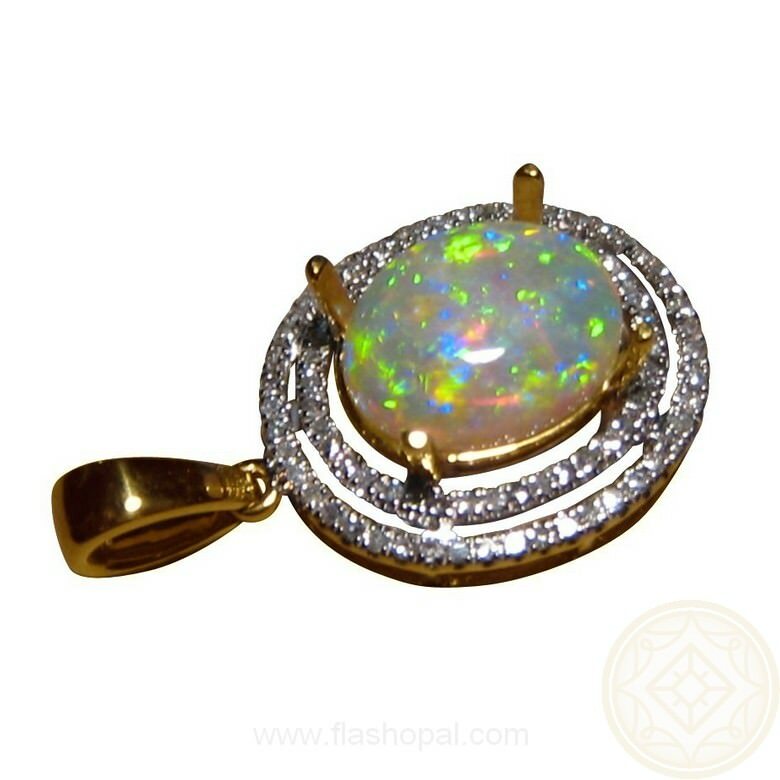 If you would prefer the opal in a different setting, either a ring or pendant, please inquire via this product for a no obligation quote. 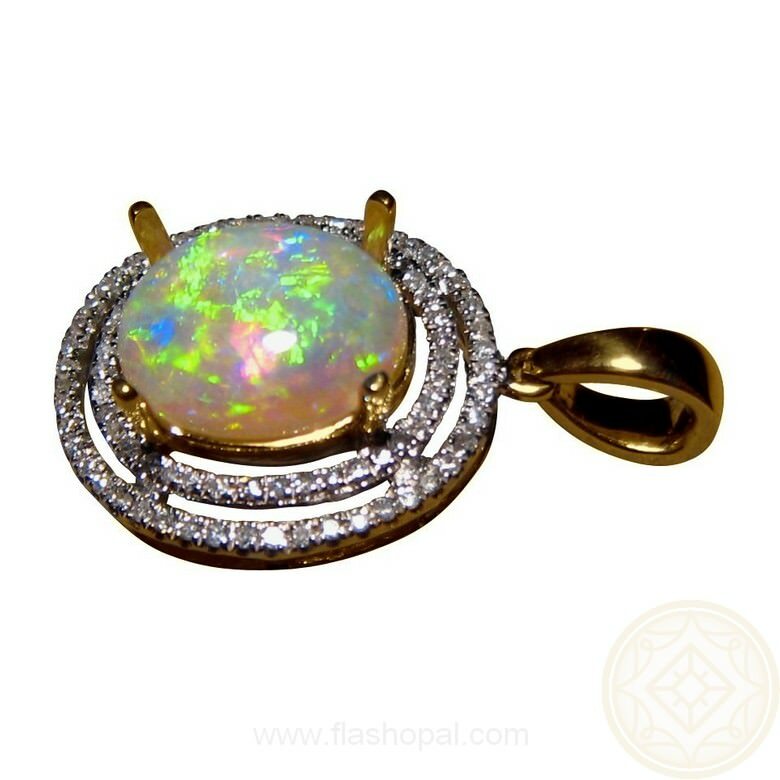 Please note that the chain shown in the photo is not included.